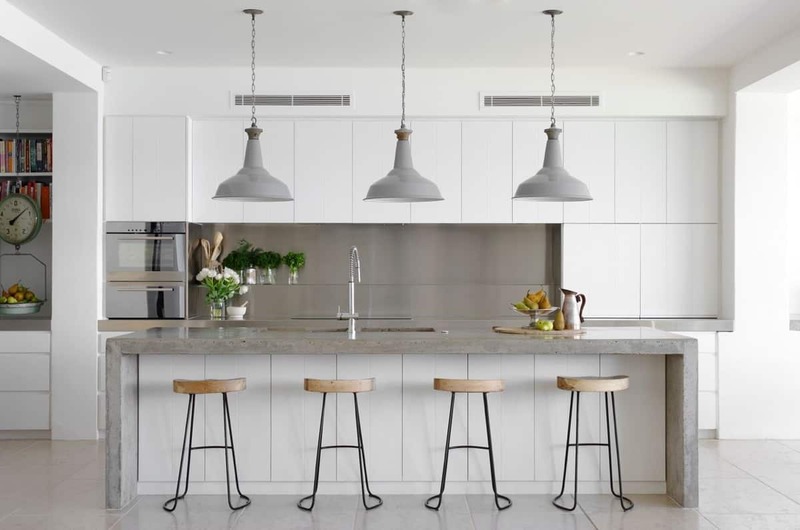 Traditionally kitchens tend to come with multiple different areas that we all wish we could improve, some of them have little to no cabinetry, and others have limited space. Having limited space in your kitchen can put a damper on your décor. However, when done correctly, your small kitchen can become the perfect location for entertaining and dining festivities. The following small kitchen trends will help brighten your space without taking any extra added space. Lacquer cabinets work great for that glossy feel that comes put together. Pair with matte touches to allow the lacquer appeal that becomes a simple statement. Doing so allows the space to be simple yet contemporary. Lacquer cabinets are great when you have a smaller space due to their charming appeal that is sleek, modern while still having that expanding aesthetic. Pair with matte touches to allow the lacquer cabinets to make the statement they were intended to make. We love the idea of having multiple different light fixtures in any room. Especially when you want to make the space feel grander. The best way to do so is to have a cluster of lighting in similar shapes and sizes that work well together. 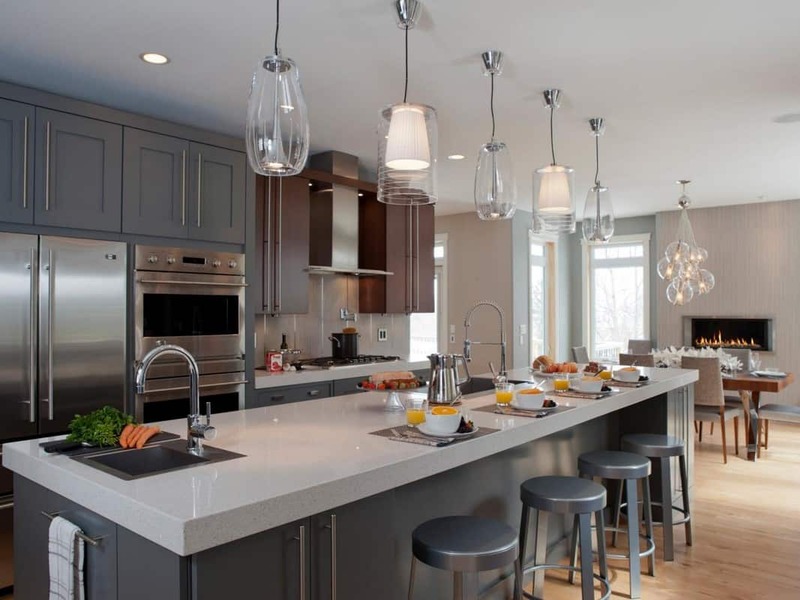 Pendant lighting is great due to its expanding feel, especially when you use multiple pendant light fixtures. 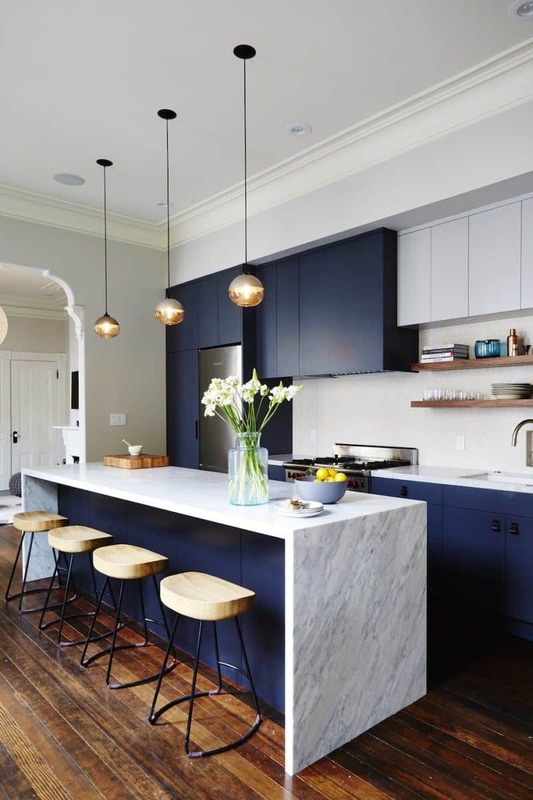 Use one hue to keep the area cohesive, but add different shapes and/or even sizes to allow your pendant lighting to make the statement it was intended to make. Blue in the kitchen is an excellent pairing color as it works well with most if not all kitchen decor. Use a darker blue for the perfect elegant touch, but if you want to have a more versatile, modern appeal consider a pastel hue and/or a brighter color. We love using shades of blue in the kitchen. A charming blue shade can bring a beautiful touch to even the smallest space. Pair with wooden elements for a well-rounded appeal that adds a farmhouse charm without being heavy or too simple. Simplicity is sometimes best when you want to keep your decor minimal yet with a classic appeal to it. Use simple colors such as black and white with wooden touches that make the area have a stylish aesthetic with little to no added effort. Stylish and simple is perfect for a smaller space due to its use of furniture that you may already have. The key is working on your space and allowing it to make the statement, it is intended to make. Pair with stylish pieces to bring your décor up a notch. 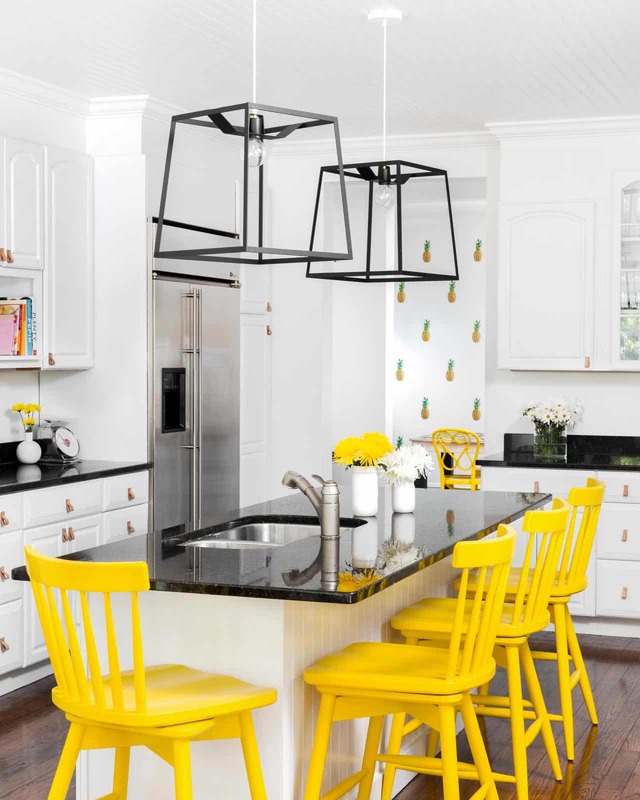 Adding pops of color in the kitchen may seem easier then what you may assume. The main idea is to add the hue in small doses. Consider adding stools in daring hues to bring that inevitable pop of color that bring your entire decor together. 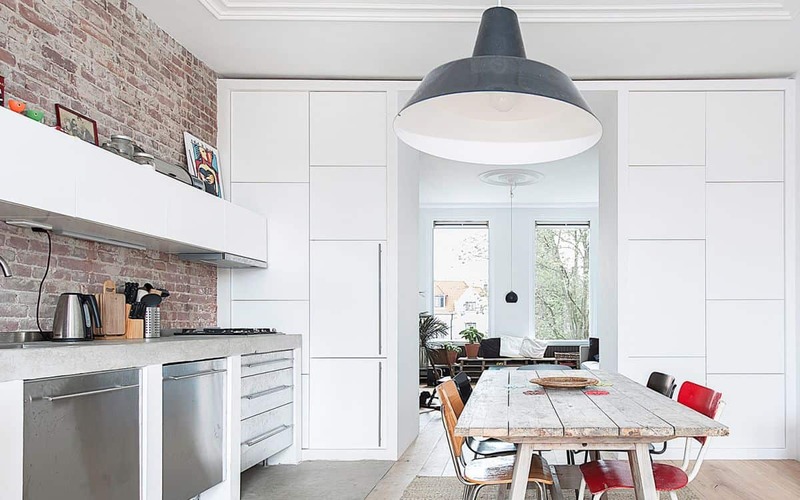 An all-white kitchen is always a good idea, especially in a smaller setting. However, to take it up a notch by adding vivid accents. The vivid accents will bring the space back to life in a simple manner. Add a bright accent wall, colorful lighting fixtures, and/or daring stools in a bright hue or interesting shape. 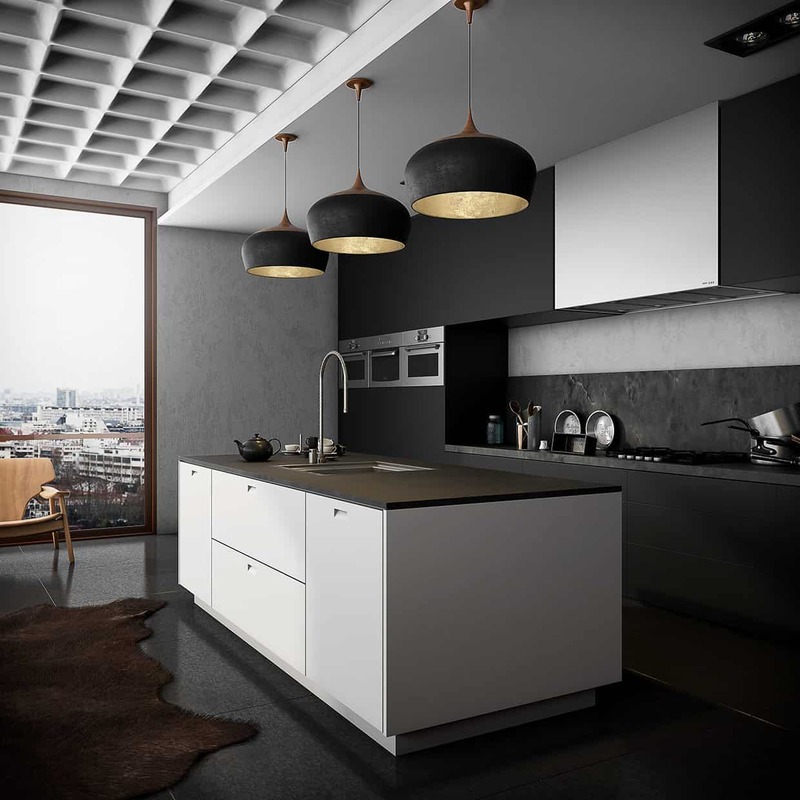 In an elongated kitchen the key is using darker hues that allow your space to continue to be elongated yet still chic. The key is to work with metallic hues and brighter colors so the kitchen still feels open yet elongated all at the same time. 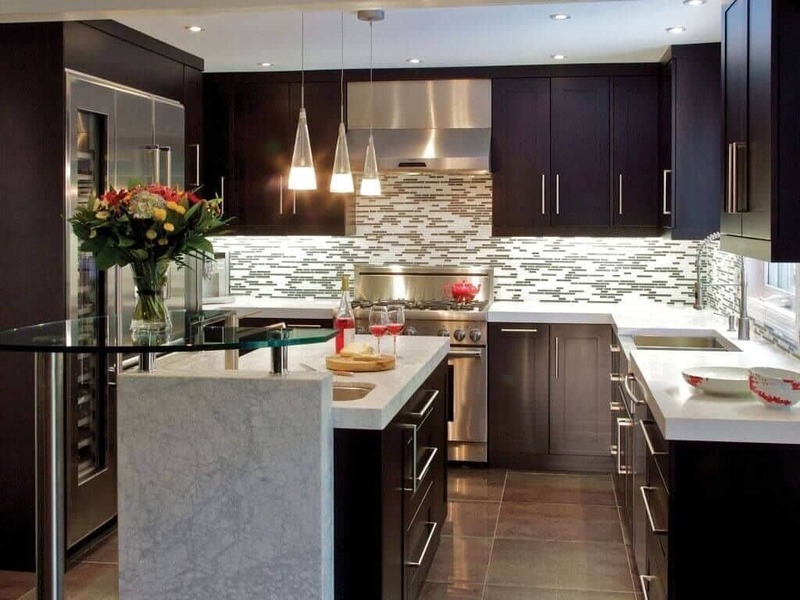 If you have an elongated kitchen, dark cabinets could be exactly what you need. An elongated kitchen can be tricky to decorate because of the way it is laid-out. Paint your entire kitchen a rich darker hue such as navy, black, or even dark gray for a rich darker feel. A touch of antique is perfect in a small space that news a hint of old-world beauty. Furthermore, a touch of antique can bring a charming chicness that brightens the space. Add an antique center table or countertop for a perfect contrast that still adds that antique touch. Black and white flooring is considered perfect for simply decorated areas due to their beauty and textured appeal. There is something very modern yet farmhouse about them. So much so that they bring any decor together. Black and white flooring have become extremely trendy not only because it is cool to look at but because it works well with almost all décor options. 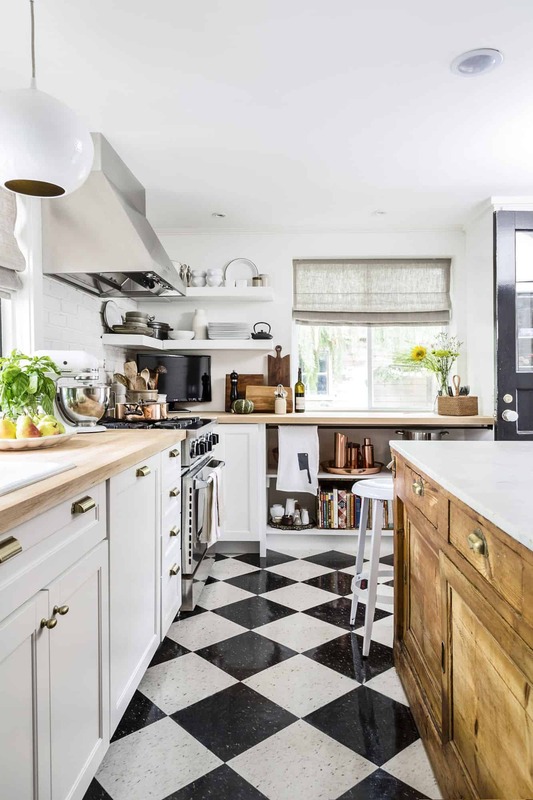 Pair your black and white flooring with a colorful kitchen or with an all-white space when you want to allow your flooring to make a big statement. A monochromatic palette has a full circle appeal because of well two shades such as black and white can work together. The smaller the space the less dark hues you want to use. Instead, use a few darker pieces and add brighter white furniture on a larger scale. A monochromatic palette is perfect when you want to have a color palette that works well with numerous different décor options and you want to allow your furniture to speak for itself. Consider having simple pieces elevate the area while still being monochromatic. A bright corner may sound intimating but in all reality its one of the greatest trends you can add to your kitchen. Add rich colors that create a bit of a contrast between the two for an appeal that comes full circle when looked upon from afar. Add bright art work for a seamless pairing. 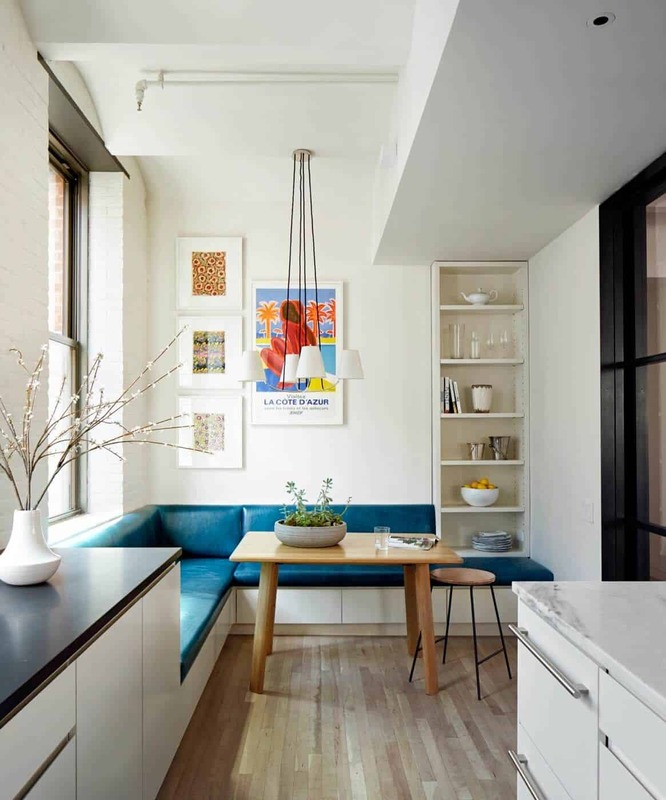 Having a colorful corner in your kitchen has become the IT trend to follow in small kitchens due to their ability to bring color and an extra touch of beauty even in the tiniest space. Pair with a chic seating area to create a balance between the spaces. Whether your decor revolves around using shades of black or you simply want an elegant appeal to the space touches of black are perfect. Add a daring hue throughout to bring out the sleek pops of black that may be well needed. 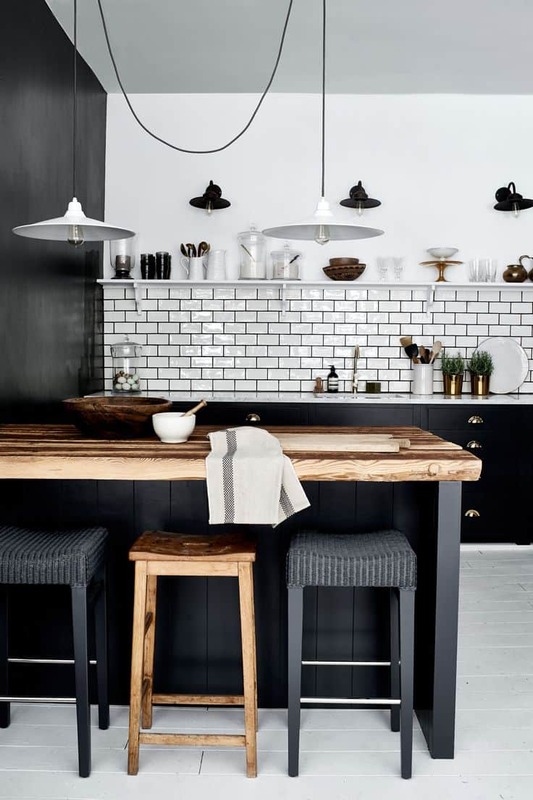 Regardless of what colors are used in the kitchen a pop of black can bring it all together in an effortless manner. 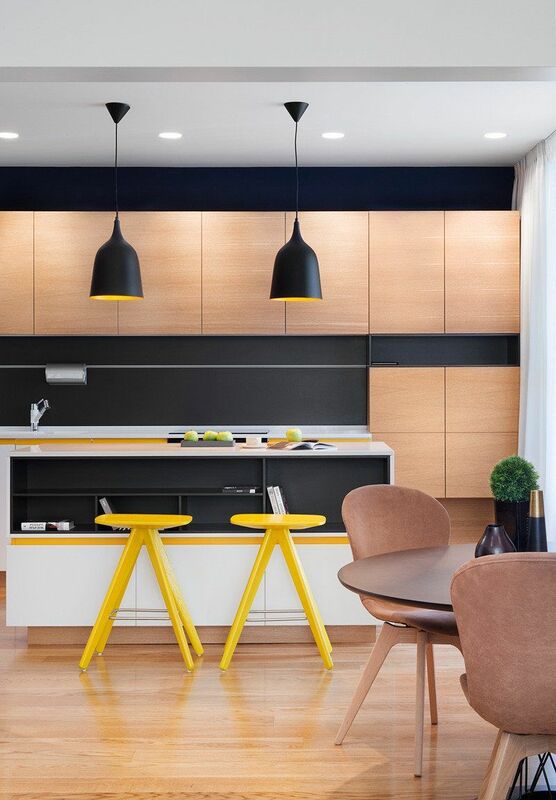 Consider adding bold pops of black throughout the space to bring hints of neutral to the kitchen area. Which of these trends would you be interested in trying in your kitchen? Please share with us your ideas in the comments below.